Taylor Morrison's Summit Collection at The Estates at Eastmark in Mesa offers beautiful new homes in an excellent location. 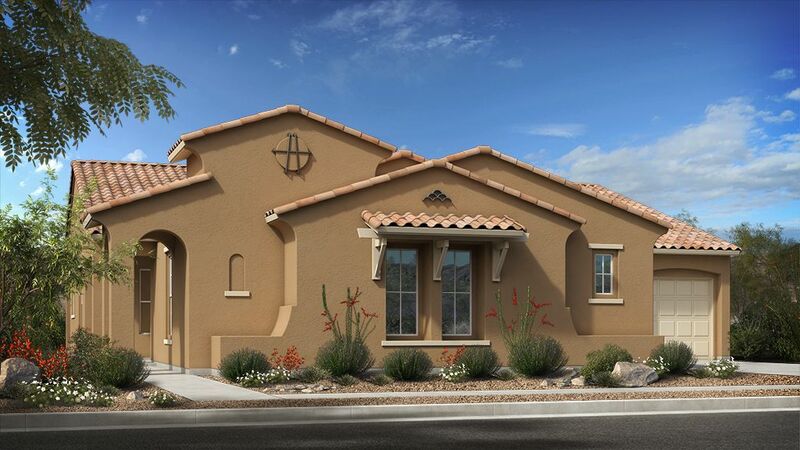 A new gated community within Eastmark, The Estates at Eastmark offers residents stunning views of the Superstition Mountains while allowing for access to shopping, dining, entertainment, and other local amenities. Find a relaxed lifestyle, stunning mountain views, and convenient access to various local amenities with Taylor Morrison homes at The Estates at Eastmark, located east of Ellsworth Road, on the south side of Ray road. Residents will appreciate the spacious floor plans from Taylor Morrison, in addition to the various features and extensive space available at The Estates at Eastmark community.Discover Stunning New Taylor Morrison Homes Taylor Morrison's Summit Collection at The Estates at Eastmark offers six spacious floor plans, including the Blanca, Avana, Crestone, Windom, Whistler, and Telluride. Ranging from 2,764 to 3,904 sq. ft., the Summit Collection offers residents expansive and stunning homes in a prime location.Top Things to Do at The Estates at Eastmark Residents at The Estates at Eastmark can enjoy a variety of excellent common areas like pocket parks and The Club right within the community. Homebuyers can enjoy the stunning private community center featuring luxurious details such as a large great room with a fireplace, TVs, an office space, fitness area, and an open kitchen area with ample food prep. A beautiful pool is also available for residents and there are multiple covered outdoor areas for fun activities. Residents can enjoy 19 acres of beautifully landscaped open space throughout the community. Outdoor fire pits, a large outdoor grilling area, a yoga/activity lawn, and an event lawn offer many spaces for community activities or private events.